It’s being reported that Barcelona’s next home shirt will represent a “revolutionary” advance in the Catalan club’s matchday clobber. 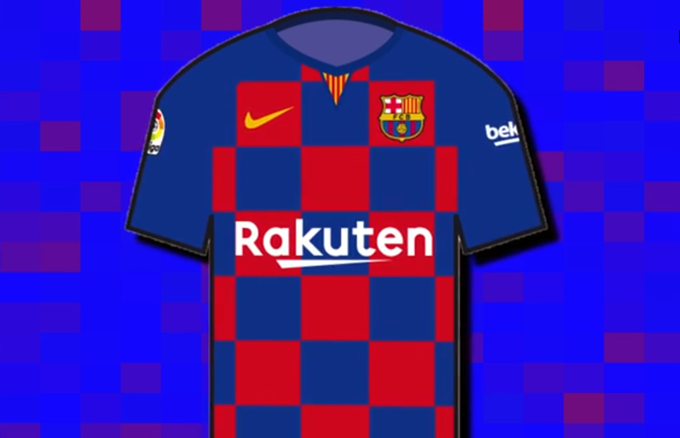 According to SPORT, the 2019/20 Barca home shirt will be the first in the club’s history not to feature their iconic vertical blaugrana stripes. The closest Barca have come to having an un-striped shirt is their 1999/00 kit (left, below) which featured a half-and-half design and an enlarged crest as part of their centenary celebrations. The 2008/09 shirt (above, right) was also split into halves, but still maintained that crucial vertical line that will be abandoned entirely next year. News of the new, checkered design was first broken by Joan Vehils, former director of SPORT newspaper, via his twitter account. Barca had a hooped kit for the 15/16 season…. would that not be the first kit with no vertical stripes ? I’m sure they had a kit with hoops (horizontal stripes) around 2014? They did go with hoops (15/16, if memory serves) but it’s still classified as a striped kit. Chris, surely you must amend the title to just say “stripes” and drop the word vertical. The evidence is clear, get it together, man. I’m glad I’m not a Barcelona fan. Rakitic will feel right at home in that kit!